Visit the HRIFF Program Guide to find locations for all festival screenings and events. Guests are recommended to pre-purchase all tickets via HRIFF Online Ticking Service (using Print-At-Home option). Individual Tickets for film screenings may also be purchased at the festival. HRIFF tickets are on-sale at HRIFF Online Ticking, starting Feb 5th, 2018 at noon. Tickets also available during each day of the festival (Feb 21st - March 5th, 2018), at Regal / LA LIVE. Recommended to arrive at least 30-45 minutes early if purchasing tickets on-site. Regal Cinemas Box Office DOES NOT handle HRIFF Festival Ticketing. Visit our HRIFF Box Offices at Regal Cinemas and LA LIVE for Festival Ticketing. HRIFF Box Office directions & instructions listed below. 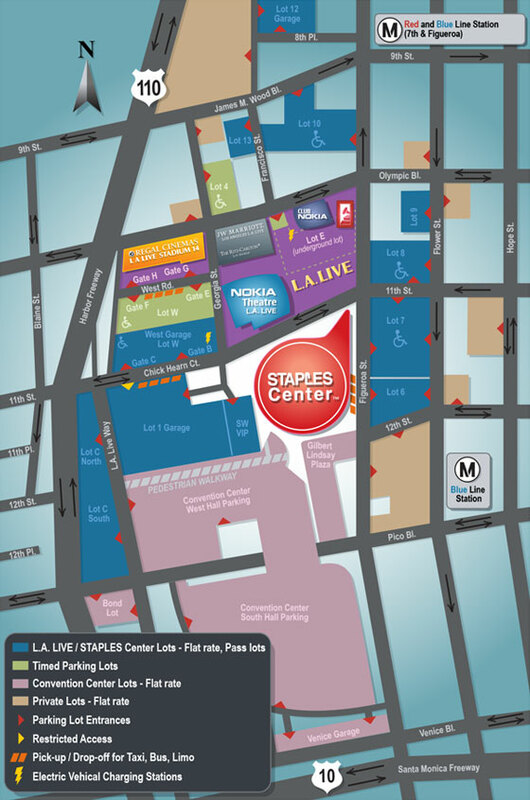 Plan for sufficient time to find parking and to then walk to Regal Cinemas across the LA LIVE complex. At Regal Cinemas, find our HRIFF Box Office Ticketing Window: located to the left of the Georgia Street Entrance doors. Once at the HRIFF / Georgia St. Box Office Main Ticketing Window: purchase tickets / pick up will call tickets. Note that for popular films & events, the wait time in HRIFF ticketing lines can be significant. Once tickets are picked up from HRIFF Box Office, head into the Regal Cinemas lobby through the Georgia St doors. Check-In at HRIFF Hospitality Desk in Regal lobby: To be given directions to your films specific theater. Give yourself time to get concessions in the theater lobby, line wait times may vary. Plan for enough time to then find your way to your films specific cinema in the multi-story Regal Cinema LA LIVE complex. Note that festival films may not have trailers and may start closer to the exact listed start time in our Program Guide. As you see, there are many elements of that can be time consuming. This is why it is recommended to purchase your tickets online and use the Print-At-Home options to eliminate steps 1-4. If you have no will call and have printed at home, you can simply walk into the theater lobby, check in at HRIFF hospitality desk and to get to your theater by the screening start times. is our HRIFF Main Box Office. Any festival questions can be answered here. Will Call tickets can be picked up here. Regal Cinemas Ticket Windows (for Non-Festival TIcketing) are located at the corner of Georgia and Olympic, but directly to the left of those Regal Ticketing Windows is the Georgia St. Entrance to Regal Cinemas, and directly to the left of those doors is the HRIFF Box Office / Georgia Street MAIN BOX OFFICE Ticketing Window. HRIFF G1 West Box Office is open very limited hours, during first five (5) days of festival ONLY (Feb 21 - Feb 25). HRIFF G1 West Box Office is open from Feb 21st until Feb 25th ONLY.